Once again the national program skews to the older kids as the tournament shifts to home ice. Will there be a golden redemption for the team? For some of Canada’s most prominent world junior cuts, you can literally say “better luck next year, kid.” And in a tournament that is traditionally thought to be the domain of 19-year-olds, the reasoning is understood. But since there will always be questions surrounding Canada’s entry at the holiday classic, let’s take a look at the final roster, which was pared down overnight. The most prominent names being discussed right now among the cuts are Sam Steel and Samuel Girard. Steel, an Anaheim first-rounder and star center with the WHL’s Regina Pats, has been a scoring machine this season and would have brought a lot of high-end skill to the lineup. But, his game is similar to that of Matt Barzal (NYI), an older and more experienced returnee. Steel, 18, can (and will) play for the team next season. 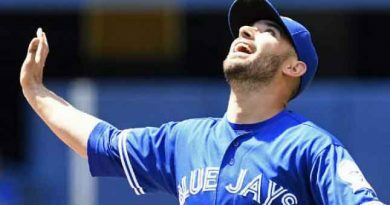 Girard is another 18-year-old who will be there in 2018, though his exclusion this year speaks to Canada’s conservatism on two levels. Not only is the Nashville prospect younger, but he’s also a very new-school defenseman: the QMJHL Shawinigan star is undersized but moves the puck and produces offense brilliantly. Canada will bring a gang of blueliners that can push the puck up ice – led by Jake Bean (CAR), Thomas Chabot (OTT) and Dante Fabbro (NAS) – but Girard could have been an X factor, particularly on the power play. In general, this will be a very solid team for Canada, but that can be said every year. The key is always in the execution. Carter Hart (PHI) has been a juggernaut in net and he’ll be joined by Connor Ingram (TB), who outduelled Montreal signing Michael McNiven for the second slot. Canada has largely been failed by goaltending for years now and while Hart is only 18, he is the best netminding prospect in the country, hands down. Forwards Anthony Cirelli (Woodbridge, Ont./Oshawa, OHL), Dillon Dubé (Cochrane, Alta./Kelowna, WHL), Pierre-Luc Dubois (Sainte-Agathe-des-Monts, Que./Cape Breton, QMJHL), Mathieu Joseph (Chambly, Que./Saint John, QMJHL), Tyson Jost (Kelowna, B.C./U. of North Dakota, NCHC), Michael McLeod (Mississauga, Ont./Mississauga, OHL), Taylor Raddysh (Caledon, Ont./Erie, OHL), Nicolas Roy (Amos, Que./Chicoutimi, QMJHL), Blake Speers (Sault Ste. Marie, Ont./Sault Ste. Marie, OHL). As I’ve already mentioned, the defense is pretty solid. It is by no means a bruising bunch, but they’ll be able to get the puck up the ice. Their biggest challenge will be against aggressive squads such as Russia and the U.S. The forward corps definitely has top-end talent, highlighted by Barzal, Dylan Strome (ARI), Mitchell Stephens (TB) and Julien Gauthier (CAR), all of whom played last year and will be looking to avenge their sixth-place finish. 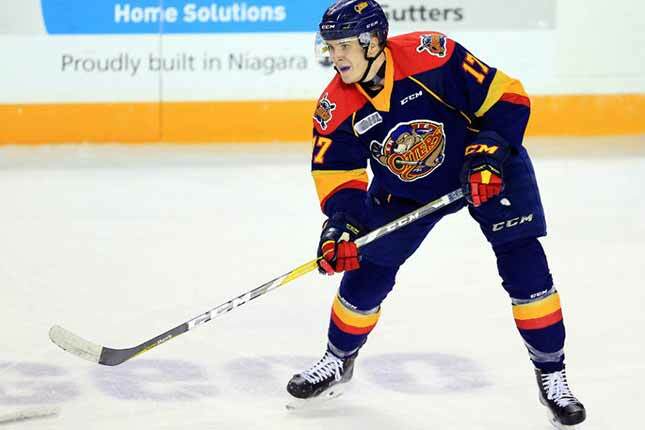 In terms of new names to know, Taylor Raddysh (TB) will be counted on for goal-scoring, as he has been one of the top threats in all of major junior while playing for the Erie Otters. Raddysh isn’t a fast player and I thought he might be kind of a bellwether choice because of that, but given that the games will be played on the smaller NHL ice, perhaps his skills in the offensive zone were just too great to pass up. The team had cut big scoring speedster Austin Wagner earlier, so I suppose that choice was already made. With Mikey McLeod (NJ) making the cut, this squad will still have some burners up front, however. For intangibles, I’m looking at Anthony Cirelli and Mathieu Joseph, both Tampa Bay prospects. Cirelli is a clutch player who scored both goals in Oshawa’s 2015 Memorial Cup victory, the last of which was an overtime dagger. Joseph, a star with the Saint John Sea Dogs in the ‘Q,’ blends goal-scoring and grit, making him an excellent candidate to throw opponents off their game. He’ll have to walk a fine line with the IIHF’s referees, but it can be done. So of course the question now revolves around gold. Can this team do it? Yes, they have the horses. But they always do. The key will be for players to accept their roles and find quick chemistry. This is easier said than done, but coach Dominique Ducharme has a winning pedigree and the right demeanor. If Hart continues to dominate the crease, this squad’s chances for gold basically double. The atmosphere will be pressure-packed, but that’s what hockey dreams are made of, right?